Despite what is feeling like a very busy summer, many of us at IBBY Canada are taking time off to spend with friends and family, and to beat the heat in whatever ways we can! This year, I’ve decided to spend part of my summer holiday by taking my first trip to the Eric Carle Museum of Picture Book Art in Amherst, Massachusetts. It’s been on my bucket list for a few years now, and I absolutely can’t wait to check out the exhibitions (and the gift shop!). If you’re still in the midst of making summer plans, check out Lesley Clement’s Regional Report Ontario for a few great suggestions. And don’t forget to save a few important dates in your calendars for this fall, including visiting the IBBY Canada booth at The Word On the Street in Toronto and Halifax! Every summer, I expect that things will move more slowly. And every summer, I’m surprised to find that things don’t really slow down much at all. For IBBY Canada, summer means planning for the fall, and so the board has been busy putting nomination packages together for the Hans Christian Andersen Award and the Astrid Lindgren Memorial Award, among others, as well as planning a 30th anniversary party for the Elizabeth Mrazik-Cleaver Canadian Picture Book Award. There are other special projects in the works, and all in all, we are gearing up for a busy fall 2016. Stay tuned for more details and announcements as we get into September, and as always, thank you for your support of IBBY Canada’s good work! If you are looking for an outing this summer, two sites associated with L.M. Montgomery, author of Anne of Green Gables and many other novels for children and young adults, are well worth the visit. The first is the L.M. Montgomery Heritage Gardens, with its Children’s Garden of the Senses, in Norval, Ontario, where Montgomery resided with her husband and two sons from 1926 to 1935. The second is the Historic Church and Manse in Leaskdale, Ontario, where Montgomery moved in 1911 after she married the Reverend Ewan Macdonald and where she wrote 11 of her novels. Throughout the summer, the Lucy Maud Montgomery Society of Ontario has a full program of events, including teas, performances of Maud at Leaskdale, and tours of the manse and church. For information, visit lucymaudmontgomery.ca. IBBY Canada has got a few important dates for you to save in your calendars. Sunday, September 25, is this year’s The World On the Street at Toronto’s Harbourfront Centre. Visit the festival’s website to see how you can become involved, and please stop by the IBBY Canada booth to say hello. Another event to put in your calendar is the 23rd Biennial Congress of the International Research Society for Children’s Literature (IRSCL) being hosted by York University, July 29 to August 2, 2017. The multidisciplinary theme of the Congress is Possible & Impossible Children: Intersections of Children’s Literature & Childhood Studies, which will be of interest to librarians, educators, advocates, publishers, writers, researchers — indeed, anyone engaged in childhood studies. Proposals for papers and panels are due November 15, 2016. For more information, please visit their website. While I don’t currently have much to report, I wanted to highlight a happening in the literary community in British Columbia. The Reading Lights program through CWILL BC and the Vancouver Public Library celebrates the work of BC children’s book authors and illustrators by featuring excerpts and illustrations on lampposts throughout Vancouver. Currently on display is material from the books Grumpy Bird by Jeremy Tankard, Binky the Space Cat by Ashley Spires, Little You by Richard Van Camp and Julie Flett, and Stanley at Sea by Linda Bailey and Bill Slavin, among others. Publishers across Canada are invited to submit picture books for the annual Elizabeth Mrazik-Cleaver Canadian Picture Book Award / Le Prix Elizabeth Mrazik-Cleaver pour le meilleur livre d’images Canadien (the Cleaver Award). The Cleaver Award is given annually in recognition of outstanding artistic talent in a Canadian picture book. The recipient receives a cheque for $1,000 dollars and a certificate. An award ceremony to celebrate the winner is held each year. The Cleaver Award is administered by a committee of three members of the Canadian section of the International Board on Books for Young People (IBBY Canada). The committee members for the 2016 award are: Allison Taylor-McBryde (Chair), Lyne Rajotte, and Camilia Kahrizi. 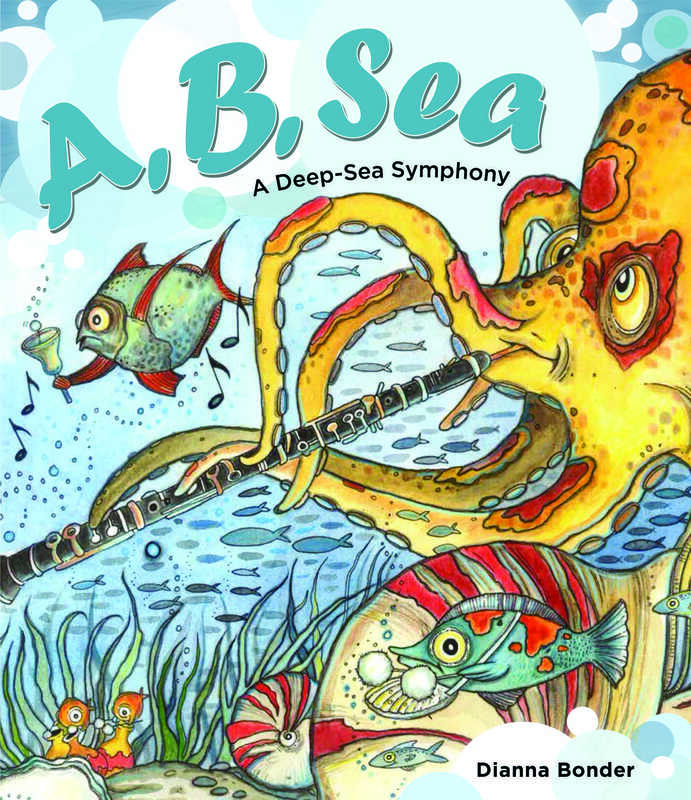 The recipient of the Cleaver Award is a Canadian illustrator of a picture book published in Canada in English or French during the 2016 calendar year. 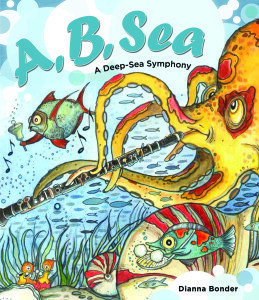 To be eligible, the book must be a first edition and contain original illustrations by a Canadian artist (either a citizen or permanent resident). All genres are considered: fiction, non-fiction, poetry, and folk and fairy tales. If a book has been submitted in previous years, even if it was submitted in a different language, the book will not be eligible for consideration. The deadline for entries is December 1, 2016, for books published between January 1, 2016, and December 31, 2016. Please contact Allison Taylor McBryde for the addresses of the committee members. Dianna Bonder has been selected as the 2016 Joanne Fitzgerald Illustrator in Residence. The program, which launched in 2013, has been hosted at the Northern District Branch of Toronto Public Library for three years, with illustrators in residence Martha Newbigging (2013), Patricia Storms (2014), and John Martz (2015). The 2016 program will be at the Stanley A. Milner Library in downtown Edmonton, Alberta. The program honours Joanne Fitzgerald (1956–2011), illustrator of Plain Noodles, Emily’s House and Governor General’s Literary Award winner Doctor Kiss Says Yes. Joanne’s family collaborated with IBBY Canada and Toronto Public Library to establish the program, and their financial support covers payment for the illustrator, a freelance coordinator to manage the program, art materials, and IBBY Canada administration. Dianna Bonder’s residency will be from October 17 to November 10, 2016, with programs that include workshops for adults, art activities for elementary school classes, presentations for high school and college art students, and portfolio reviews with individual artists. As well, the Stanley A. Milner Library will feature an exhibit of Dianna’s original artwork. IBBY Canada’s Regional Councillor Alberta, Merle Harris, will be the freelance coordinator for the program in Edmonton. The position includes booking class visits and portfolio reviews, and arranging for the artist’s accommodation. Dianna was born in Kamloops, British Columbia, and now lives on Gabriola Island, British Columbia. As far back as she can remember, she has been drawing and writing stories. 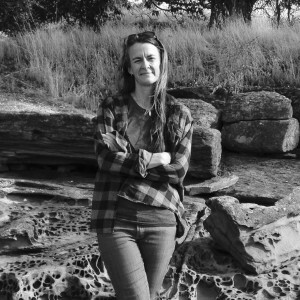 After studying fashion illustration, fine arts, illustration, and commercial design in Toronto, Dianna moved to Vancouver to work as a commercial artist, and then as a children’s illustrator. 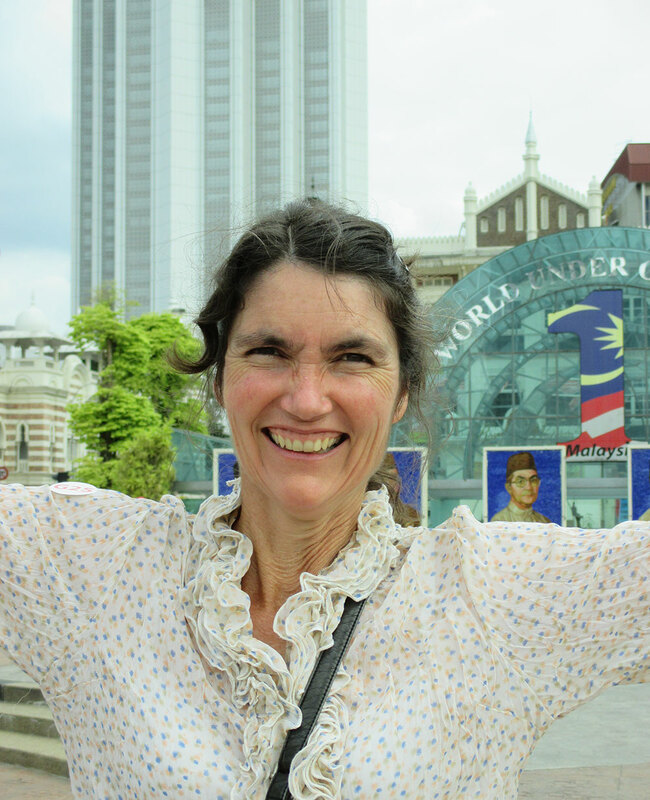 Her first book was The Pacific Alphabet written by Margriet Ruurs (Walrus Books, 2001), and she illustrated many more children’s books since then including Accidental Alphabet (Walrus Books, 2002), Three Royal Tales by Marilyn Helmer (Kids Can Press, 2003), and Dogabet (Walrus Books, 2007). On May 30, 2016, author Meg Rosoff was presented with the 2016 Astrid Lindgren Memorial Award in Stockholm, Sweden. The award was presented by Swedish Minister for Culture and Democracy Mrs. Alice Bah Kuhnke. 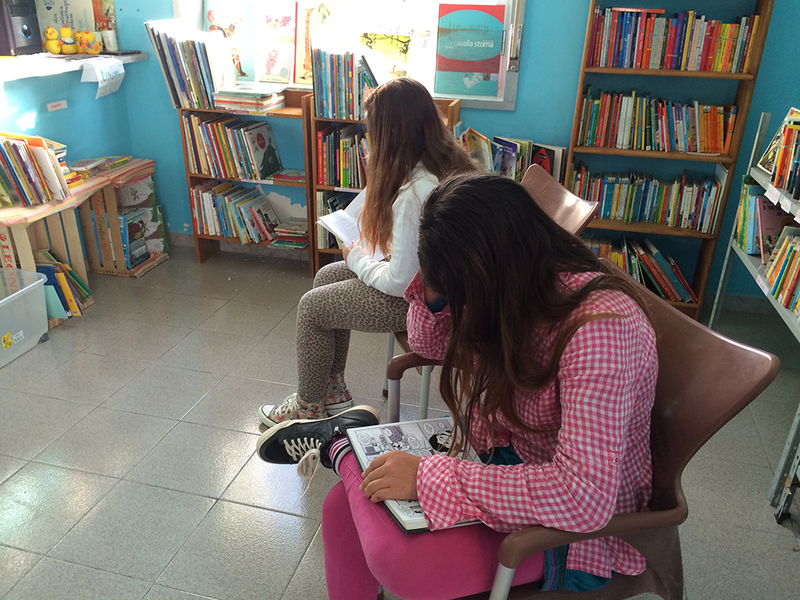 Two young patrons reading at the Lampedusa library. Photo courtesy of Mariella Bertelli. 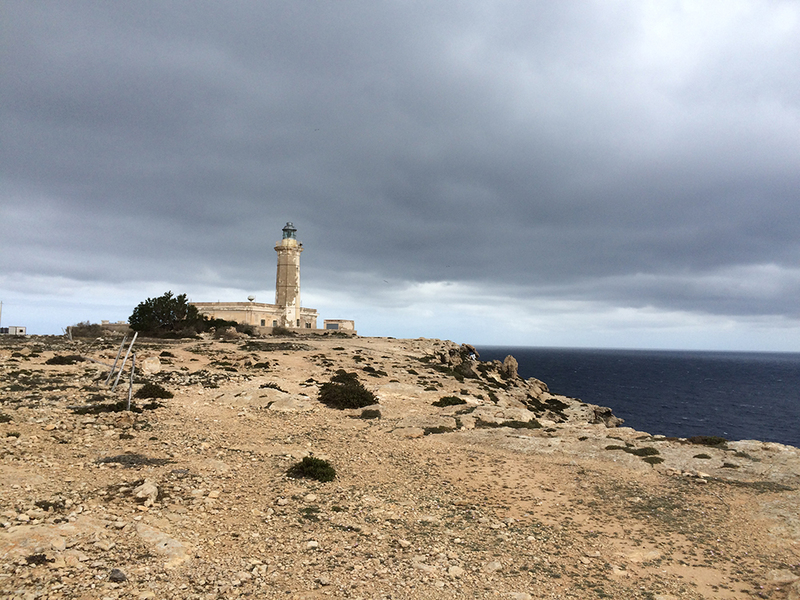 For two weeks, from April 27 to May 10, 2016, I visited Lampedusa, Italy, with librarian and IBBY Canada member Tara Stadius. The library on Lampedusa, an initiative of IBBY Italia, has increasingly become connected to IBBY’s work in Canada, with the library’s touring Silent Books Exhibit across Canada last fall and winter and ongoing fundraising initiatives. Our timetables were filled with activities, meetings, and projects. Our deep involvement with the local children and interaction with some of the migrants gave us long-lasting impressions and profound and heartfelt memories. We found many of the local children truly inspiring — their presence in the library a kind of unbridled social “activism” as they kept the place open twice a week during the year, under the gentle guidance of local IBBY Italia volunteers Anna Sardone and Paola La Rosa. Mariella Bertelli outside the Centro Studi on Lampedusa, Italy. Photo courtesy of Mariella Bertelli. During our stay, we kept the library open every day to the delight of the children, leading reading and craft activities while also reorganizing books and the manual loan card system, and training new volunteers. One rainy afternoon we arrived late and were pleasantly surprised to find more than 15 children and youth waiting outside the library. Another important aspect of our work on the island was the promotion of the Centro Studi (Study Centre), another IBBY Italia reading and study space. We traipsed around the island with signs attached to our bikes, stopping to talk to recently arrived migrants along the way. At the Centro Studi, we left reading material in English we had brought from Canada; met with visiting university students working on their Lampedusa thesis; and, most importantly, talked to recently arrived teenage migrants, who told us the story of their difficult journey. During our 10-day stay, there were four arrivals, on average 200 each time, from Eritrea, Somalia, Nigeria, Burkina Faso, Ivory Coast, Libya, Mali, French Guinea, and Egypt. Late one night, Tara was able to be at the arrival dock with other volunteers, handing out a welcoming kit (a water bottle and snack) to the 200 newly arrived refugees, among them a large group of young Nigerian women. On our last Friday in Lampedusa, a sizable group of young migrants went on a hunger strike, standing in the piazza in front of the church protesting the finger printing and arrival procedures. The migrants are limited to staying in the country of arrival as per European Union established rules. We also interacted with students at the local schools. Tara did a full-immersion English presentation to the junior high school students about the Toronto Public Library system. I worked on a special project with a Grade 5 class, guiding the children to collect and document oral stories, proverbs, and recipes from their families. On the last day of the project, the children shared their findings with a Grade 8 class. It was a great success. I hope to publish the findings in time for the next IBBY Italia camp in November 2016. An unexpected and spontaneous outcome of the project happened in the library where the Grade 5 students had gathered to work on the project. They began reciting at first the proverbs and then counting and clapping rhymes, involving the other children present to their great amusement. Tara recorded these special moments, and we hope one day to be able to share them publicly. 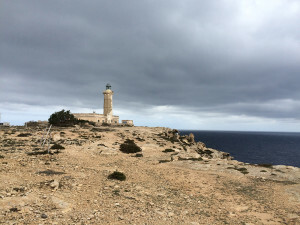 Lampedusa, Italy. Photo courtesy of Mariella Bertelli. Other highlights include meeting many other interesting local people and visitors (we squeezed a few aperitifs and gelati! ), movie directors and writers, researchers, and journalists. We briefly attended a congress organized by the mayor with architecture students from France; met again with leaders from other organizations like Silvia from Terra (planting community gardens); Elena from Legambiente; and Alberto, Marta, and Adsi from Mediterraneo. I tried to meet the mayor and met with the officer in charge of island culture to discuss the library and its renovation. The latest news from Deborah Soria of IBBY Italia is that the library is being renovated! 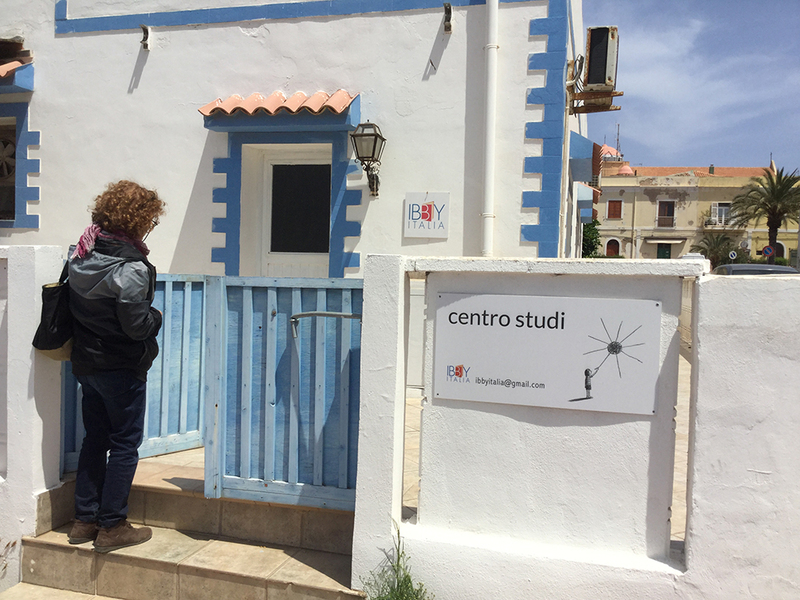 Two weeks ago, she went to Lampedusa to pack and move the books to the Centro Studi, where the library activities will continue throughout the summer thanks to other visiting IBBY Italia volunteers. She was told the library should be ready by October. We all hope so! One other fantastic outcome was that eight students and a teacher, Anna Sardone (the lead volunteer at the library), were invited to speak at the International Book Fair in Turin, in northern Italy. I was there on May 15, 2016, to witness the students articulate responses to questions — it was a great event! 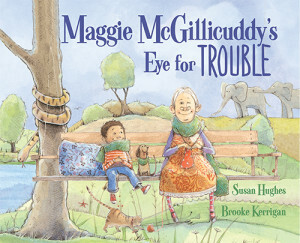 Susan Hughes is not only an award-winning author of over 25 non-fiction and fiction books for children, but her books have been nominated for the Forest of Reading Awards, the TD Canadian Children’s Literature Award, and the Norma Fleck Award for Canadian Children’s Non-Fiction. She is also a freelance editor. What’s it like to be on the other side of the fence as an editor? I love writing — but I also love editing! And I love critiquing manuscripts and story coaching as well. Both writing and editing allow me to participate in shaping words into stories, which is one of my favourite things in the world to do! Editing, however, of course requires that I take on a different relationship with words, interact with them at a different remove and with a different set of responsibilities, and that I work with writers, trying to support their vision of the work and their goals. This is a satisfying and invigorating process. It sounds cliché perhaps, but I really do learn a lot when I’m analyzing and making comments and suggestions on others’ writing. I can’t simply try to dive in and fix things, as I would with my own work; instead, my role is to point to challenges in the work and articulate what isn’t working, as well as what could and why, and sometimes offer fixes. I’ve always had the utmost respect for the wonderful wordsmiths who have edited my own books, editors such as Niki Walker, Stacey Roderick, Karen Li, Tara Walker, and Debbie Rogosin, and this sense of appreciation grows and grows as I continue to edit and write. What do you think of the advice of writing about what you know? Do you agree or do you write about what you don’t know? If so, what is your approach to writing a book on something you know nothing about? Ha! Great question, Debbie. Well, let’s put it this way. If I were to sit down and say to myself, I’m only going to write about what I know, I wouldn’t have much scope for my stories, articles, and books! Which isn’t to say that I write about what I don’t know. Rather, I interpret the adage not as a deterrent to writers to stay away from subjects but rather an encouragement for us to research, to use our imaginations, to empathize, to learn so that when we do sit down and write, we are writing about something we “know” and we’re able to bring our own unique observations, interpretations, and way of expression to the subject. One of the exciting things about writing non-fiction is enjoying the freedom to wander amongst the many subjects that interest me, reading and researching, dipping into online and magazine articles, following different paths and then circling back, and then beginning to notice a potential book topic beginning to solidify and take shape. Here, I’ll begin to both dig deeper and continue to explore the breadth of the topic, seeing what details are intriguing, checking out links and connections. At some point, I’ll either reject it if it just doesn’t resonate with me or seem sturdy enough to become a book topic — or it’ll click. I’ll decide to go the distance with it, and I’ll settle into becoming an “expert” in my new area of interest! Tell us some highlights of your blog about children’s literature for Open Book Toronto called Kid Lit Can? I’ve been enjoying writing this blog for several years now. Who wouldn’t? I get to pick any topic I want that is connected to Canadian children’s literature and then explore it. I’ve had the delight of interviewing a wide range of trade children’s book publishers, editors, and booksellers, including Hadley Dyer, Karen Li, Sheila Barry, Christie Harkin, and Wendy Mason, and, of course, many outstanding children’s book creators, including Arthur Slade, Caroline Pignat, Marsha Skrypuch, Shane Peacock, Monica Kulling, Loris Lesynski, and Eric Walters. Book Trailers: What’re They All About, Alfie? As host of the Global Bookmark Exchange, explain its purpose, outlook, and what it meant to you. The Global Bookmark Exchange was started several years ago by Margriet Ruurs, a fellow Canadian children’s book author. I hosted it for a time, and then my daughter took over. The exchange includes hundreds of students in over 20 countries. Teachers send an email request to the host, who then connects them with a class with students of a similar age in another country. Students create handmade bookmarks (versus digital) on which they include a sentence about their favourite book, and the schools send the bookmarks to each other by ground mail. It’s a great way to inspire a love of literacy — and I love that it allows kids to share with one another something they’ve made with their own hands, something that expresses a common link to the enjoyment of reading. I’m always so thrilled when teachers take the time and initiative to provide this opportunity for their students. I believe when children in different countries make these types of first-hand connections it has a strong impact: they now know people that live somewhere else, somewhere different, but they have something in common. The Bookmark Exchange lets them connect and form a relationship with other children through a shared focus on words, books, literacy, and education! Anyone wanting more information can email Margriet Ruurs. IBBY Canada works with CODE (Canadian Organization for Development through Education) and is excited to hear about your involvement as a volunteer with CODE. CODE is an international development agency focused on advancing literacy and education. It is run by a lively and very dedicated staff! I have been honoured to be involved with the Reading CODE program, which supports local book production in eight African countries and 34 Caribbean countries. It enlists experienced writers, illustrators, and editors to volunteer to mentor local authors and artists on the production of materials for children, and provides teachers and librarians with professional development. I have been a volunteer mentor for several writers in both Liberia and Sierra Leone, communicating with them by email, helping to edit and polish their stories and poems. When the editing is done, the stories and poems are illustrated by local illustrators who have been similarly mentored by volunteer Canadian creators. The books are then published locally. When they are placed in local libraries and schools, kids can enjoy these books that reflect their own languages, their own cultures, their own lives! Some of the titles I worked on are The Farmers and the Rice Birds by M. Woryonwon Roberts, Tibujang Must Not Come by Mohamed Sheriff, and The Singing of the Rice Birds, edited by Susan Hughes. To find out more and get involved, please check out codecan.org. Many of your books talk about shaping Canada, from Canada Invents to Let’s Call It Canada: Amazing Stories of Canadian Place Names, to Lester B. Pearson. Your latest non-fiction is Making Canada Home: How Immigrants Shaped This Country. Why did you decide it was important to mention that there have been times when Canada has not been especially welcoming to newcomers? 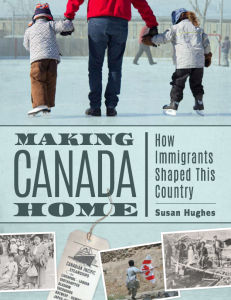 How does your book reference the current immigration of Syrian refugees to Canada? As we all know, Canada is a land of immigrants. At first, newcomers to this land were welcomed with hospitality by the First Peoples. Then, as time went by and the settlers formed communities, concepts of ownership of land and resources — and the desire to protect what one owned — spread. Mistrust and suspicion of others, especially others who spoke a different language or were from a different nation than the majority, flourished. Canada became a nation, and deliberately encouraged immigration, but this was for various practical and self-interested reasons and decisions about who could come and who couldn’t were influenced by perceptions and prejudices of the time. Oftentimes, people desperate to escape the situations in their own homes were refused admittance here, and they suffered greatly as a result — many even losing their lives. It’s important for kids to understand this as we help them explore and try to understand historical events and decision making. We can guide them to look for patterns, and causes and consequences, and points of view; these help provide a framework for understanding the past. But we need to be open. We cannot only direct them toward the events and decision making that place Canada in a positive light. We need to present the good and the bad, and talk about it honestly. In this way, we’ll help kids to evaluate what our country did and what we’ll choose to do next. The book is chronological and its final pages include information about, and images of, the refugees who have come to Canada from Syria. You also write books with international topics. Your non-fiction Off to Class: Incredible and Unusual Schools Around the World was shortlisted for the 2012 TD Canadian Children’s Literature Award, the 2012 Norma Fleck Award for Canadian Children’s Non-fiction, and the 2013 Hackmatack Children’s Choice Book Award. What is the book’s impact on young readers? Many of the unusual schools that I included in Off to Class were created to break specific barriers preventing children from getting an education. These barriers include poverty, gender, racism, physical geography, and so on. So although my book celebrates education and highlights the dedicated and inspirational people who have come up with creative, practical, and economical ways to bring education to kids, I first have the opportunity to point out that millions of kids around the world aren’t going to school and explain why. This has such a profound impact on readers. When I visit kids in the classroom and talk to them about this, they are shocked that other kids aren’t getting an education and they are visibly outraged at the injustice of this. They truly seem to understand that getting an education is important and they can speak at length about the benefits it offers — and they are troubled by the inequity of some kids having these benefits and others being denied them. In many classrooms, students wanted to talk to me about the difficult choice many parents have to make about whether to send their kids to work to earn money to support the household, or whether to send them to school, and the consequences of each choice. In your opinion, what was the most unusual school that you wrote about and why? It’s really impossible to decide on only one! However, one that I like to share with students are the train platform schools in India. In 1985, a teacher in Bhubaneswar, Inderjit Khurana, noticed there were always many children working in the train stations, polishing shoes, doing dances and singing, as well as on the trains themselves, picking up garbage and then asking for coins, and so on. It dawned on her that they were not able to go to school because they had to work to survive. Many of them also slept on the train platforms. Some had family with them, others were alone. Not only weren’t they able to go to school but they were missing out on their childhoods. She decided to take action. She brought education — and joy — to the train platforms. Now teachers from her group arrive at 12 train platforms on weekday mornings, and the first thing they do is draw a large circle with chalk. This delineates the school. When children aren’t working, they set into school, joining into the lessons and the fun, often bringing along their younger siblings. The teachers read to the children and teach math. They use puppets to discuss various topics, and they encourage the children to learn through play. Once a week they provide baths to the children, and a doctor pops by regularly to care for them. I just love this notion that school can be anywhere, if there’s a will and a need for it, that there should be no barriers to an education, that a circle of chalk on cement can create the space where learning can happen! How did you uncover such fascinating and unusual information in your seven biographical tales of women who disguised themselves as men in No Girls Allowed: Tales of Daring Women Dressed as Men for Love, Freedom and Adventure? 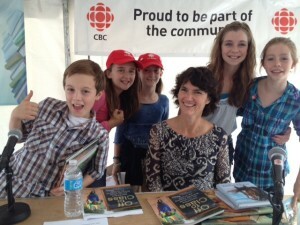 Susan Hughes with CBC’s Kids Book Club at Halifax’s The Word On the Street, after being interviewed by the kids about Off to Class: Incredible and Unusual Schools Around the World. Photo courtesy of CBC. I spent months searching out all the various women who had disguised themselves as men and determining which ones were the most interesting. I had to find women from various parts of the world and throughout history. Then I had the difficult task of trying to narrow down my list to only seven! Finally my editor and I agreed on the seven women: Hatshepsut, one of the pharaohs of Egypt; Mu Lan, the Chinese warrior (based on a folk poem); Alfhild, a Scandinavian pirate; Esther Brandeau, a French Jew who sneaked into New France as Pierre Alansiette in 1838; James Barry, the first woman doctor in Great Britain; Ellen Craft, who escaped from slavery in the US by dressing as a man; and Sarah Rosetta Wakeman, who fought and died in the American Civil War. Then I spent more time doing intensive research about each woman. I did it almost exclusively online, following up all mentions of the women, whether academic or anecdotal, looking for consistency and as many details as I could find. As well, the editor, Karen Li, and the illustrator, Willow Dawson, did huge amounts of illustration research to make sure the details of the different times and places, including architecture, the clothing, the landscape and the technologies, the vehicles, and so on, were all depicted accurately. During school visits, what were students’ reactions to your book? Students loved that the stories were told in a graphic novel format. They really responded to the visual storytelling aspect of the women’s stories. In my opinion, graphic novels are an underutilized format of communicating non-fiction information to students of all ages and of varying abilities. Just as a good picture book does, the text and the art in a graphic novel work together to tell — and show — different aspects of a true story, of a time and place, of the people who lived then. Describe one or two of your favourite topics about children that you have written about in magazines and why. That’s difficult because I’ve written so many articles for magazines and educational publishers over the years and have found so many of the topics really interesting! For example, after being irked by my daughters’ constant use of words and phrases such as “like” and “right?” I wrote an article about this tendency for Canadian Family magazine. Of course, I know language is always changing and “updating” itself, but when I did my research and interviewed a linguistics expert, I was surprised to learn that my girls were actually “at the forefront of the linguistic curve!” Yes, I was the dinosaur and they were speaking “in fashion,” anticipating the embracing of these terms by the mainstream. Here are two others: for an article for MORE magazine, I enjoyed researching the reasons why so many women don’t tell their family doctor the whole truth about their health and lifestyle choices; and for Canadian Living magazine, I learned so much when I looked into the difficulties faced by so many teenage boys during their high school years. What new books do you have coming out? What aspirations do you have for the future? Oh, and I have a set of three board books, called Time To … (Annick Press, 2017), coming out — my first ever! 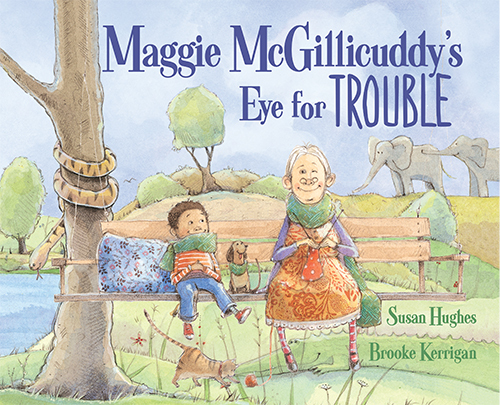 Susan Hughes is a prolific award-winning writer and editor and is far from slowing down. Her professional life revolves around writing and editing exciting and enticing children’s books that teach and enrich children. Debbie Spring has nine published books. She likes to write children’s books about sports and overcoming obstacles, as in The Kayak and Breathing Soccer, published by Thistledown Press. CODE is now accepting submissions for the 2017 Burt Award for Caribbean Literature. Caribbean publishers and authors of literature for young adults (ages 12–18) can submit unpublished manuscripts, published books, or self-published books to the Bocas Lit Fest by October 31, 2016. For more information, including submission guidelines, visit the CODE website. Communication-Jeunesse has announced the recipients of the 2015–2016 Palmarès Communication-Jeunesse des livres préférés des jeunes, which highlights the best in Québécois and Francophone literature for young readers. For more information and for the full list of titles, please visit the Communication-Jeunesse website. September 19, 2016 (HALIFAX): Come say hello at the IBBY Canada booth at Halifax’s The Word On the Street festival, Halifax Central Library, 11 a.m. to 4 p.m.
September 25, 2016 (TORONTO): Visit the IBBY Canada booth at Toronto’s The Word On the Street festival, Harbourfront Centre, 11 a.m. to 6 p.m.
October 17–November 10, 2016 (EDMONTON): Join Dianna Bonder at the Stanley A. Milner Library in downtown Edmonton, Alberta, for a month of programming as part of the Joanne Fitzgerald Illustrator in Residence Program.